Diosmin, a mainly citrus-based plant chemical, is an ingredient in supplements for disorders of blood vessels. These include poor circulation in the legs, varicose veins and hemorrhoids. Propionyl-L-carnitine is an amino acid that is used for leg pain from poor circulation. 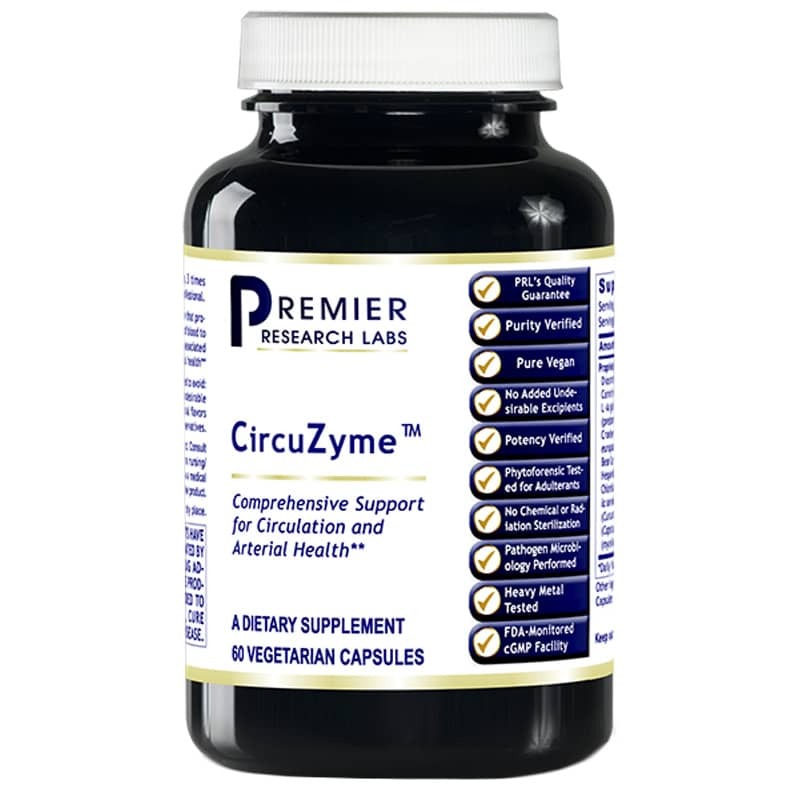 These are the two main ingredients in Premier Research Labs' CircuZyme, a premier nutraceutical supplement that promotes healthy microcirculation of blood to peripheral tissues, and supports associated nerve, heart and arterial health. Premier Research Labs encapsulates this formula in 100% solvent-free vegetable capsules or vegetable source gelatin caps. These are then packaged in their patent-pending, PET plastic Violite bottles, which have been engineered to block certain light frequencies that create radiation damage to the ingredients. This product tests on to all 4 biofield polarities. If you're looking for a natural supplement that supports circulation and associated nerve, heart and arterial health, this could be for you. Order online today! Other Ingredients: green tea (leaf) extract, vegetable cellulose capsule. Adults : Take 2 capsules, 3 times daily. These products developed by Nutritionist, the late Dr. Bob Marshall are high quality. Many of them strengthen and support what they are supposed to strengthen and support. I can tell the difference. Dr. Marshall described this product as supporting micro circulation in places that use that, such as the eye.